Most homeowners are looking for ways to enhance their property by increasing the usable living space. A popular option is to expand to the outdoors, in particular—the backyard. Whether you have a large or small yard, tight budget or “the sky’s the limit,” you’ll want to consider some of the top trending makeover ideas Toronto and GTA residents are including as part of their customized outdoor retreats. Large or small, a custom deck design can make a huge impact on your outdoor plans, no matter the season. Layouts can include multi-levels with designated areas for cooking, dining, relaxing or entertaining. KP Construction can assist with creating an innovative design to fit specifically to your property. The company specializes in producing one-of-a-kind deck designs by utilizing cutting-edge 3D visualization technology. A personalized design consultation will start the process toward establishing your preferences and requirements. Before any building materials are ordered, a photo-realistic image of your vision will be prepared for your review, modification, and approval. As part of the process, you’ll be asked to select from a wide variety of decking materials. Today’s building materials have improved to provide years of enjoyment. Now you can choose from traditional, low-cost pressure treated wood, maintenance-free composites, elegant and durable tropical hardwoods, longevity-tested cedar or redwood, or the trendy, ipe hardwood that can withstand even the harshest conditions. Built-in components are also popular and can include items such as benches, bars, planters, cabinets, railings and other permanent fixtures for decoration, convenience, and function. Ask your designer how you might incorporate some of these features with your custom deck. Custom-designed patios built at ground level are all the rage and utilize a variety of materials, textures and colours. Vary the flooring materials with flagstone, fieldstone and textured concrete to create separate spaces and add visual interest. Multi-leveled patios can easily define the outdoor kitchen from the dining area. Glass tile is another trend sweeping across Canada. Its varied shapes, colours, and textures can transform your uninspired backyard patio into an elegant, stunning work of art. Don’t be afraid to build walls from a coordinating material – low cobblestone dividers with reclaimed granite tops make perfect room dividers, seats, and planters. Retaining walls built from stone or brick will tie everything together for a beautiful, contemporary look. You’ll need a relatively flat yard or expect some excavation work to be performed if the designated area slopes significantly. Your contractor should identify the best location for a patio and may even suggest tying it to your custom-designed deck. Soften the look of low-maintenance, hard surfaces with warm, upholstered patio furniture, sleek chaise lounges and brightly coloured accent pieces like umbrellas and pillows. Just as you’ve added curb appeal with irresistible front yard landscaping, you can create a one-of-a-kind oasis in your backyard with the addition of live plants. Getting back to nature is a joy with the kaleidoscope of perennials, annuals, flowering shrubs and garden features available for backyard decorating. Today’s landscape designs blend traditional flowerbeds with strategically placed elements like a latticework arbour covered in climbing ivy or low boxwood hedging to define your outdoor living spaces. 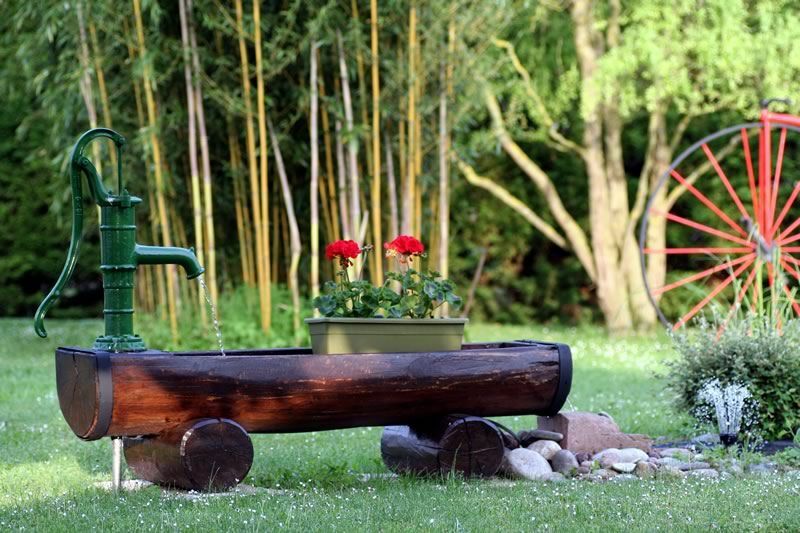 Water features such as fountains, ponds and water gardens are among the fastest growing trends in backyard landscaping due to increasing affordability, accessibility and a strong environmentally focused outlook. Even homeowners with small yards or inner-city properties are transforming their ordinary gardens into innovative, contemporary landscaping. Ideas include nature-conscious, green roof gardens, slender, decorative containers with tall ornamental grasses to provide room separation, and pergolas covered in lavish vines and an abundance of hanging plants that offer an intimate and private sanctuary in the midst of the city. Blended gardens that include both edible plants and ornamentals are on the rise as well. This unique concept allows weekend gardeners to grow their own fruit, vegetables and herbs without a huge commitment of time or space. Keep in mind that your home’s orientation to the sun may affect the type and placement of landscape selections. Select an arbourist familiar with your particular growing zone to ensure the proper plants are chosen for your property’s conditions. Gazebo – this luxurious outdoor room can be situated near a pool, hidden among the landscaping, or attached to the deck. Use it as a protected area for cooking, dining or just relaxing while the children play nearby. 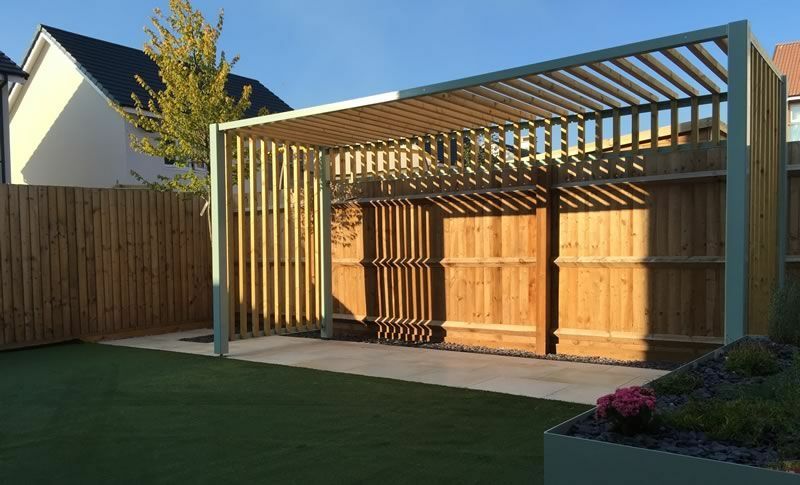 Pergola – this open outdoor structure can be freestanding or attached to your home. Columns support beams and rafters can be used to create focal points, provide separate areas for varied functions, provide transition points, and afford shade/privacy. The possibilities are endless; add a spa and sheer draperies for a quiet respite, include a dining table and chairs for family gatherings, or design a play area where your child’s sensitive skin can be shielded from damaging UV rays while playing in a protected, shaded area. Arbour – this small landscaping structure can provide a decorative flair as well as separation between outdoor elements. Adding vines to this free-standing structure will create a focal point and texture. Consult with your KP Construction team to learn which elements will work best with your project footprint. To improve the natural flow of your backyard design, these components should be positioned to provide both aesthetic appeal and functionality. 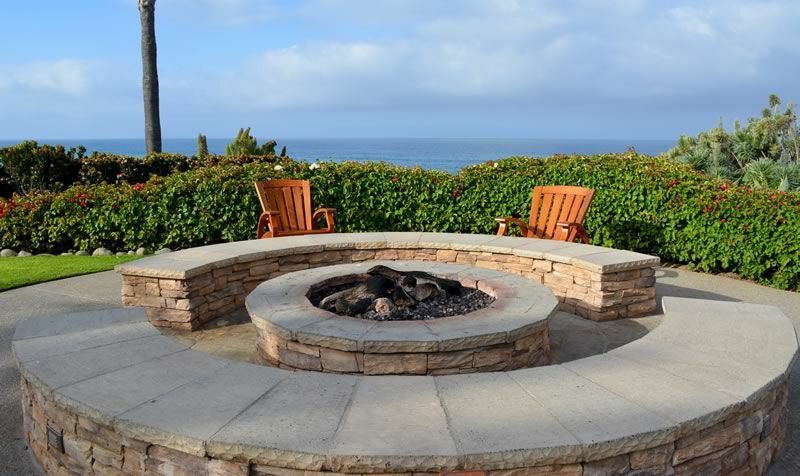 Fire pits are ranking near the top of the most-requested features in their backyard makeovers. Fire pits can be portable or a stationary element of your design. Regardless, they are popular with all demographics and age groups. Movable options can be inexpensive for the budget-conscious while built-ins provide a permanent structure that draws people together and extends outdoor use into the cooler seasons. Some municipalities restrict open flame features, so before deciding which option to use, consult with your contractor. KP Construction professionals are familiar with all the local ordinances and can guide you toward the best product to meet your needs. Once you’ve established what type of fire pit is allowed in your area, pull up an Adirondack chair, break out the marshmallows, and get ready for a comfortable evening under the stars. No matter what type of beautifully crafted fire pit you have, you’ll always want to incorporate a BBQ grill in your backyard retreat. Fully equipped kitchen designs are taking the outdoor design space by storm. Zoned areas for prep, staging, and cooking work best for meal preparation with family or entertaining guests. 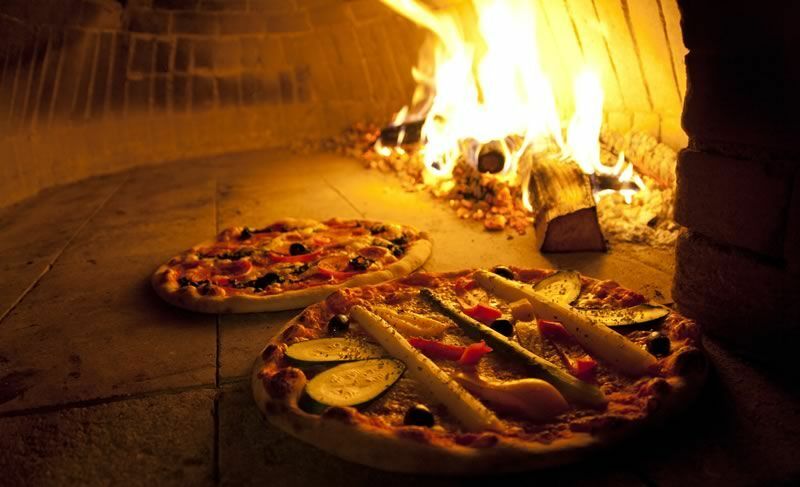 Bar areas, refrigerators, warming ovens, rotisserie burners, and even pizza ovens are luxurious extras that are gaining traction in the high-end outdoor makeover market. As a Canadian homeowner, you understand that summer goes by quickly. You’ll want to make sure your outdoor kitchen is designed for year-round use or can be winterized to survive whatever Mother Nature throws at it. KP Construction can review options for creating an outdoor kitchen that will look great and keep working year after year. Whether you enjoy cooking as a group event or creating your masterpiece in private, your outdoor kitchen is a feature you’ll definitely want to consider. 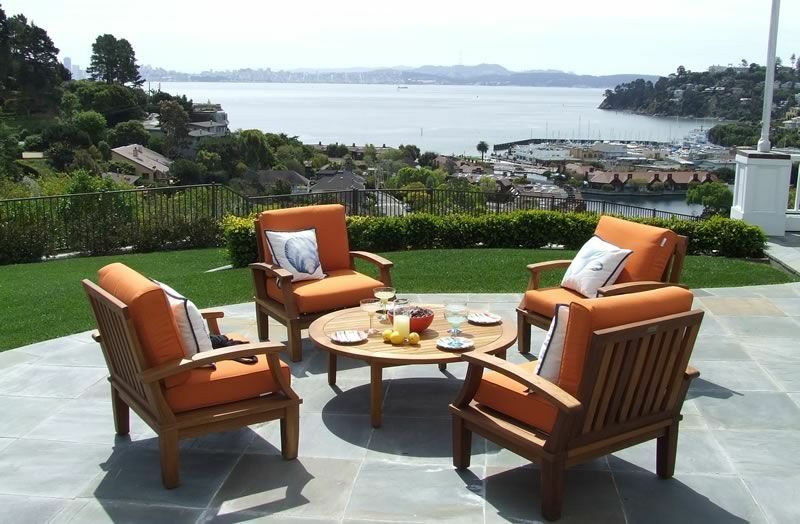 Add some urban-chic furnishings or a bistro set to keep guests engaged and yet protected from the heat. With every backyard living space comes an endless amount of equipment that occasionally needs to be put away. Garden and storage sheds provide the perfect spot for organizing patio furniture, pool toys, landscape equipment, tools, and all the extras. 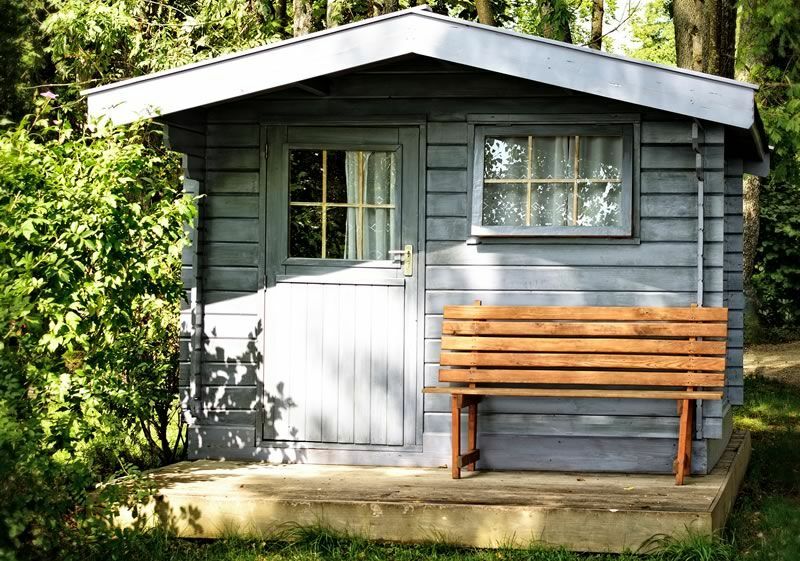 Sheds come in a variety of sizes, shapes, styles, and price ranges, so there’s sure to be one to fit your needs. There’s no need to forego style for functionality; look for models with double-hung windows and some accent trims to blend in with the natural landscape. Don’t see what you want or need in the pre-built models? A custom-designed shed can incorporate every feature you’ll need, so don’t be afraid to ask KP Construction for options. Again, your local building department may limit shed sizes, heights, and distance from property lines. Our team members can design a custom shed that includes such items such as: concrete slab foundation, maintenance-free components, and any other elements you require. They’ll also find the perfect location on your property – either in a secluded spot away from your outdoor living space or closer to the action if used as a pool house. As you can see, utilizing the backyard space is more popular than ever. Remember that scale and positioning are key elements to a good design. Thanks to new products that combine low-maintenance with durability and fade-resistance with comfort, every component of your new yard space will provide years of enjoyment for you and your family. Working with a skilled contractor will ensure your vision becomes a reality. Create a wish list to identity those items that you’d like to include in your project. Consider whether you need private space, a play area, an outdoor kitchen, or a place to entertain. Do you need to direct traffic, screen the view, or correct a grade? Have you always wanted a beautifully designed deck or are you more comfortable with hardscape patios? Thinking about adding some vertical elements like an arbour or pergola? Now that you’ve had time to think about some of the features you’d really like to see in your yard, it’s time to prioritize them. Think about adding one or several of these trending features to your backyard makeover, and you’ll be creating the perfect outdoor destination for family fun and entertaining for years to come. Remember, you don’t need a giant yard or budget to create an amazing space; you only need your imagination. 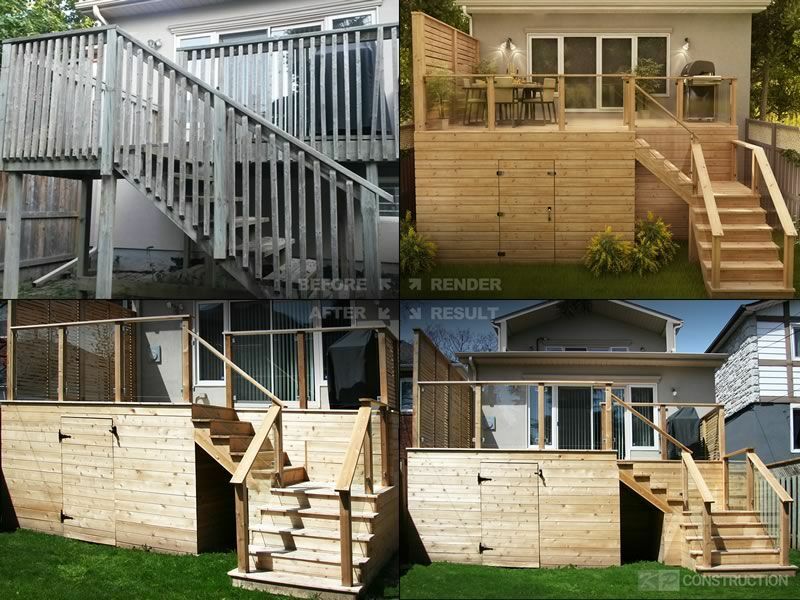 For a highly qualified custom deck builder and backyard design expert serving Markham, Toronto and GTA, contact KP Construction, and schedule your free consultation today. Want To Design and Build Your Ideal Backyard? Watch us creating your dream backyard.